Trimmer auto switches can detect various size work pieces by the difference of more than 0.5mm. The sensor enclosure is rated IP67 and the amplifier is IP40. Trimmer switches are available in direct or rail mounting styles. 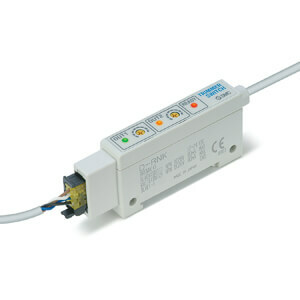 The sensor and amplifier can be connected without restriction through the use of an e-con connector.